I love maps and I love subway maps. 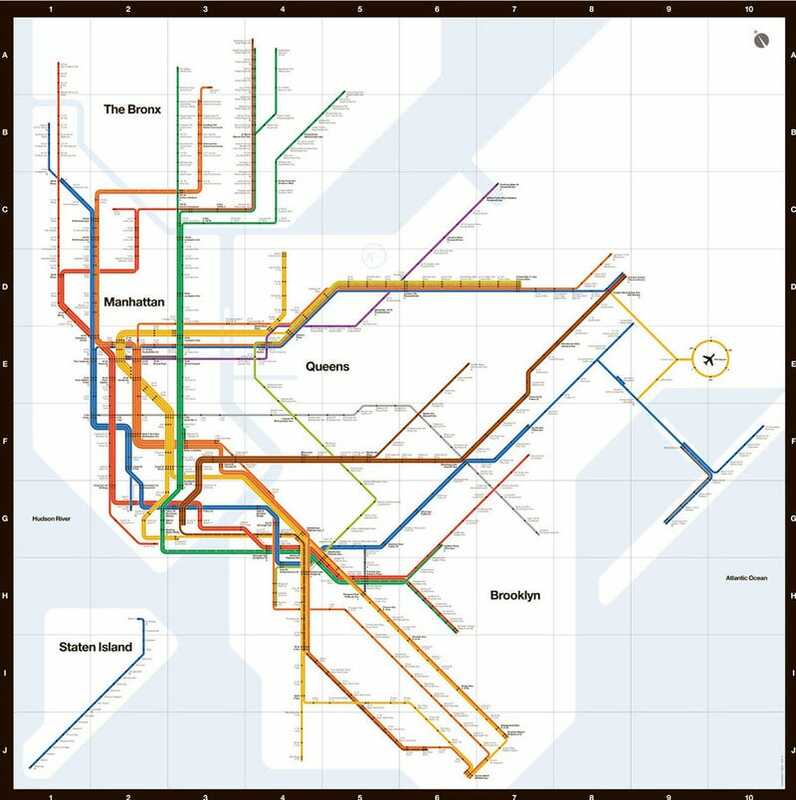 New York City is the largest in the world, with 660 miles of tracks, and it just got a new map. It is not the one you are seeing above. That's my favorite, the Massimo Vignelli's 1972 classic.—updated by the master in 2008, but not longer in use by the Metropolitan Transit Authority. Vignelli said "the only thing you are interested in is the spaghetti." I agree with every meaning of that phrase, but I understand that those not familiar with the city will prefer the latest model. And to left you have the new one, which just an evolution of the current one. It features a larger representation of Manhattan, deeper blue in the water areas, olive park areas, and shadows for the tracks. The MTA says that the shadows will help people to identify the tracks more easily. I just think it's unnecessary ink. For reference, he's the map from 1906.